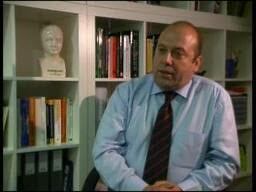 SIMON HARE OF THE BBC – Did he deceive viewers about The Madeleine Foundation? 2) The way he dealt with the response to our leafleting on the streets of Bristol. The question we pose is whether Simon Hare misled viewers in his treatment of the introduction to his film, and in his selection of material from our day of leafleting in Bristol. Below we try to provide the answer. Secrecy surrounds the meeting of the self-appointed Madeline Foundation…they said I could attend. I have to wait for news of the location - I’m told to make may way to a hotel with conference facilities [he then shows a scene of him waiting outside The Gateway Hotel and Conference Centre, Nottingham] - but this proves to be just a meeting place - I’m then taken to the real venue… (long pause) - a room in a village hall in Nuthall [he shows a picture of Nuthall Parish Hall]. This sequence is accompanied by a certain style of music. 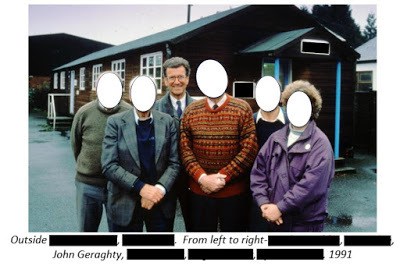 The wording and accompanying pictures chosen by Simon Hare give the viewers the clear impression that The Madeleine Foundation had led him to believe we were meeting in a grand conference centre in a posh hotel, but were actually meeting in a room in a Parish Hall. The key words Simon Hare has, no doubt very carefully and skilfully chosen, are these: “this proves to be just a meeting place”. What Simon Hare did not tell viewers is that he knew in advance that this was only a meeting place. We explicitly told him that we were meeting at a community centre in Nottingham, not in a hotel with conference facilities. We also told him that the reason for the secrecy was threats of disruption from McCann-supporters; a fact he did not mention. 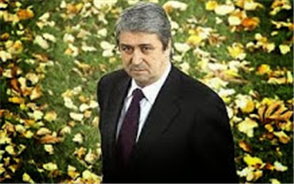 "A man saying: 'There are some evil people about'. And another saying: 'There's always those with conspiracy theories'. Yet on the BBC cutting-room floor were clips of several people eagerly taking away more leaflets to hand round to others, and others saying how they had serious doubts about the McCanns' version of events. When Helene Davies-Green was interviewed at home, she was filmed by Simon Hare preparing some mushrooms for dinner. 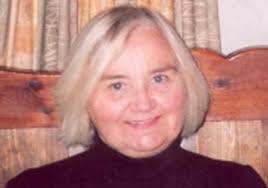 She is an expert on the subject and frequently gives lectures on the topic. The one and only quote in the film from Helene, chosen by Simon Hare, was: "Some of them are very poisonous". In these times of austerity, it is a most improper use of public money for the BBC to have allowed this programme to go to air in such a ridiculous and unfinished state. Having watched this mish-mash of silliness and barbs, and having continued to read many comments about this, one gathers that this programme was never likely to become a series. Therefore, one cannot see any point in the BBC having wasted public money on making any such programme in the first instance, if it were not to come to any conclusions about the motivations, aims and objectives of The Madeleine Foundation. 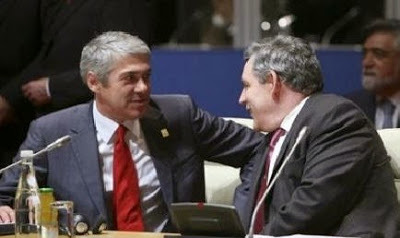 Having discussed the way in which this programme was made, and discussing this at great length with people connected to The Madeleine Foundation, one is most satisfied that Hare was furnished with a wealth of information, not deemed libellous in Portugal or the UK. He should therefore have used some of this effectively in his programme. 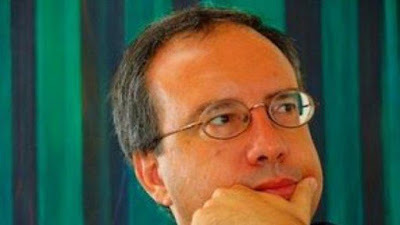 If Hare still did not feel as if he had been given enough information on this subject, he could very easily have researched and read about the subject by spending a couple of hours of his time in reading the Portuguese police files, which are globally available not only to the world's journalists, but to all members of the public. Therein, he would have found precisely why members of The Madeleine Foundation were galvanised into action, and whereby their aims and objectives originally came from to motivate them into doing what they continue to do today. 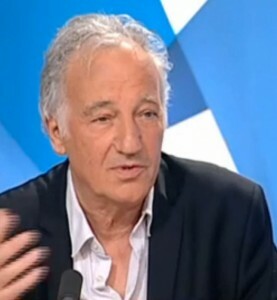 Tony Bennett telling Hare that there were matters of grave concern which he could not speak out about due to libel lawyers gagging him, was absolutely no excuse for Hare not to speak about those matters on Tony Bennett's behalf in order to clarify The Madeleine Foundation's position for the viewing public. For Hare to have spent so many months on this undertaking, it is quite appalling to realise that he knows no more now than when he began. To have broadcast his thoughts as such to the public at large is utterly ridiculous. If he and the editor believe it was ''playful'' to intimidate a woman and allow this to become part of the programme, it is with a heavy heart that one realises that the BBC is no longer the greatly revered informative, educative and entertaining corporation it once was. This is from their own website: The BBC is a vibrant, fast moving, customer centric organisation whose core values are creativity, collaboration, trust, audiences, quality and respect. The BBC exists to enrich people’s lives with great programmes and services that inform, educate and entertain. Its vision is to be the most creative, trusted organisation in the world. Was it vibrant? No. Did it keep pace with current thinking? No. Was it creative? No. The collaboration seems to have been a one way street. Nobody could possibly be blamed for wanting to know if any other sort of collaboration may have taken place during the making of this programme though! The trust is broken. This was not quality television, however it could have been made so, had Hare taken care to show a fair and unbiased programme. Has this enriched anybody's life? No. Has it damaged relations with the BBC? Yes it has, because local programmes are becoming increasingly important in these days of power being handed back to our communities from the Government. Was any respect shown by Hare? No. Much respect has now gone out of the window. It rather looks as if the BBC's vision to be the most creative, trusted organisation in the world will remain just that. A vision. Yet it is still achievable, if the BBC were to consistently use its own ethical code in all areas of television. Other than that it will be destined to live under Murdoch's Sky. Regional programming has a great future, if only those people who work in it will listen to the public and produce quality television. This means employing programme-makers who are prepared to admit defeat, and pass the job onto somebody who knows what they are talking about when they are out of their depth. The public do not want to listen to somebody on television admitting that they are clueless about a programme they want them to watch." We would like to thank all our supporters for 'staying at our side' in spite of the injustices that we continue to be subjected to. Madeleine is the person who suffers most from all of this injustice. It is this fact alone which causes us the most distress. It is absolutely heart-breaking. 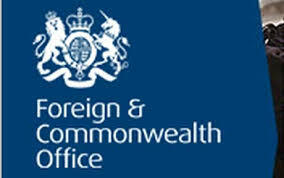 The Wikileaks 'news' this week has led to the repetition of many unfounded allegations and smears both in the UK and in Portugal in particular. This has been seized on as an opportunity by those who wish to compound our suffering and hamper our efforts, including the very person who was entrusted with finding our daughter. Those who could help Madeleine but choose to do nothing are also complicit in this injustice. Without the love and help from so many good people around the world we would not be able to find the strength to continue the fight to find our daughter. Thank you to all those who have signed our petition calling on the UK and Portuguese Governments to conduct an independent review of Madeleine's case. The petition is still on-going. 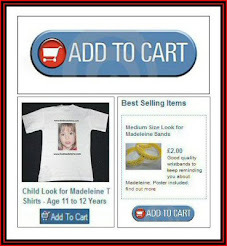 If you haven't signed and would like to further the search for Madeleine, please sign our on-line petition or sign a paper petition form. The latter can be downloaded from the website and distributed to shops, post-offices etc. and returned to us. "We hope with all our hearts that wherever she is, she is safe and well and whoever may be with her is treating her with the love and respect she so deserves." 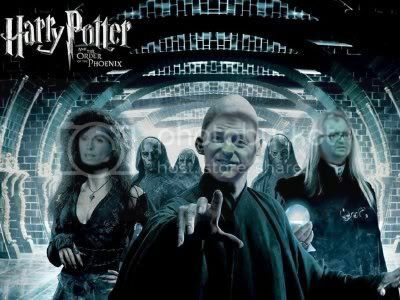 THEY say she is with a Paedo**** gang, and have said so for many years. Their prime detective says she is in a "Hellish Lair", and has held onto this view despite going to Australia to check up on another "strong lead"
Everyone else on the planet with a working cerebellum knows she is dead. At least they have the decency to thank the people who are still sending "donations and gifts". Let us hope these appear as such in the accounts for 2011. "Without any doubt, it helps us immensely and we are incredibly grateful." I bet you are. Who wouldn't be. The "fund" allows itself to give financial 'help' to the family. "Please remember to spare a thought and a prayer for all the children who will not be with their families this Christmas." We are sparing lots of thought for a little girl who has not been with her family for the last four years. Lots of thought. Most of it intelligent and detached and disinterested, in the proper sense of that word. 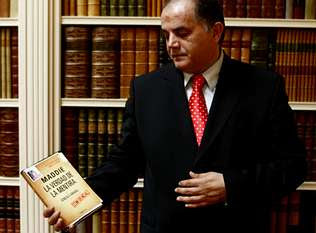 But I particularly like "Those who could help Madeleine but choose to do nothing are also complicit in this injustice. " Does that not include the parents, who could have helped Madeleine, by not leaving her alone in an unlocked apartment in a small town in a foreign country well known for its gangs of gypsies and predatory paedo****, (ALL according to them, you understand, not to anyone who has actually been to the Algarve, or who owns property there)"
So there we have it, their lawyer confirms what we, of course, have known all along. It is an absolute disgrace that the UK press are keeping quiet about this yet are happy to report on the McCanns' pretendy petition. If ever there was proof that the McCanns have something to hide this is it. Why on earth would their lawyer state that he opposes the reopening of the inquiry, this statement makes an absolute mockery of the McCanns' claims that they want a review and that no authority is doing anything? 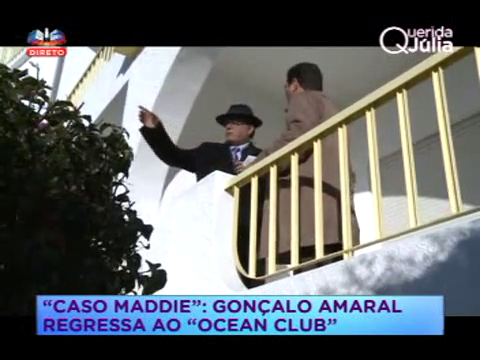 "British police helped to "develop evidence" against Madeleine McCann's parents as they were investigated by Portuguese police as formal suspects in the disappearance of their daughter, the US ambassador to Portugal was told by his British counterpart in September 2007. 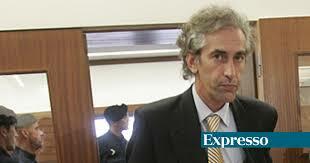 The meeting between US ambassador Al Hoffman and the British ambassador, Alexander Wykeham Ellis, took place a fortnight after Kate and Gerry McCann were formally declared arguidos, or suspects, by Portuguese police. 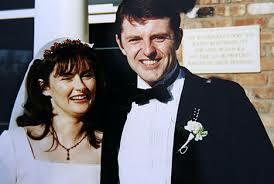 In a diplomatic cable marked confidential, the US ambassador reported: "Without delving into the details of the case, Ellis admitted that the British police had developed the current evidence against the McCann parents, and he stressed that authorities from both countries were working co-operatively." The comments attributed to the ambassador appear to contradict the widespread perception at the time that Portuguese investigators were the driving force behind the treatment of the McCanns as suspects in the case." 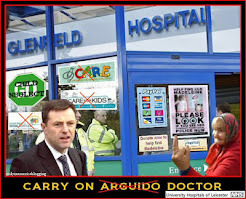 How many more leaks can Dr Gerald McCann take? 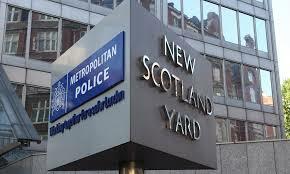 A deputy chief constable along with 2 more police officers are under suspension due to accusations of gross misconduct as well as fraud. 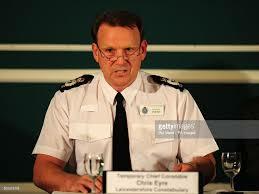 Acting Deputy Chief Constable Gordon Fraser began work in the position in Leicestershire during January. 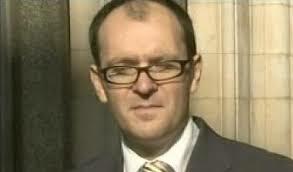 He had previously been working for the West Midlands police for twenty two years. Two additional West Midlands police officers have also been suspended,however they have not yet been identified. These suspensions are all reported to be in relation to the officers’ business dealings. 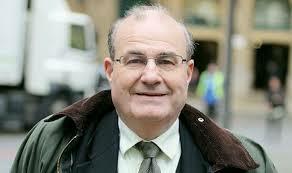 Leicestershire Police issued a statement to confirm that Mr Fraser’s has been suspended from duty. A spokesman said that this continues on after allegations that were received with regards to business interests linked to Mr Fraser. He went on to say that it is currently a continuing investigation and for that reason additional details may not be provided at the moment. Details of he situation have been forwarded to the Independent Police Complaints Commission (IPCC) and they advised that it should be investigated by digfferent police force. 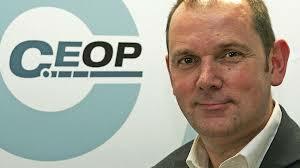 Merseyside Police have said that they are carrying out the inquiry, and they have confirm that Chief Constable Jon Murphy is currently carrying out an investigation regarding an officer from the Leicestershire Constabulary, 2 officers from the West Midlands Police force and also a member of the public, subsequent to allegations associated with gross misconduct as well as fraud. I'm aware you have posted online a number of issues relating to my film. If you have also formed these into a letter to my editor, as previously discussed, they will be addressed. Airing them online in advance is, at best, discourteous, at worst, potentially defamatory. You may already have sent a letter, but I have been working from home due to the weather. I'm also aware that a number of posts by you and others associated with the so-called Foundation have accused me of lying, deception and unprofessionalism. I treat such allegations very seriously and intend to pass them onto our legal department. As I'm sure you are aware, libel laws apply as equally to forums and message boards as they do to the BBC. We do have a number of objections to the programme you made. One of these was the vicious, nasty-sounding voice-over of the words I wrote on a forum after I attended the two sessions of the Department for Culture Media and Sport Select Committee on 10 March 2009. Your film didn't mention by the way that The Madeleine Foundation had made a 50-page written submission to the Committee, which is why we were invited to attend it. Many people assumed this was my own voice. This was because, contrary to BBC and TV best practice, you did not say, before the words were read out, 'Mr Bennett's words are read out by an actor'. And Hare really rubbed it in the other night with a clip of Tony Bennett's own voice that I'd never heard before from after he sat behind Gerry McCann at the House of Commons. "It was to send out a quiet message. 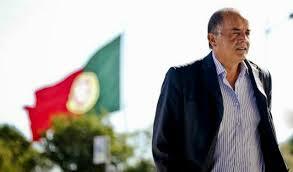 We are looking over his shoulder checking out what he and his team are saying, watching them." It sounded like something out of a horror filmMany others also referred to this clip in your film and said how horrible my voice sounded. 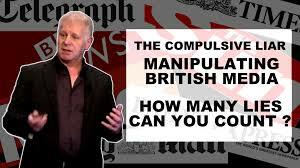 This was a deliberate and unfortunately very successful deception perpetrated by the BBC. I naturally had to correct it as soon as I learned that so many peope really thought that that was my actual voice. I turn now to the subject of allowing Ms Butler to tell several untruths in her wholly false account of the events of 12 August 2009 when we leafleted in Leicestershire. "I cannot influence your choice of people to appear in your programme - but it was sold to us on the basis that this was an examination of The Madeleine Foundation. and I would seriously question what Ms Butler has to offer to that programme given all that has happened in the past 8 months since she was expelled". You then replied: "But at the moment I think it's unlikely she will take part in our film as she expressed the belief that I probably 'work for the McCanns'." Other assurances you gave suggested that you were not intending to use any film of Ms Butler. Moreover, in discussions with you, you were made fully aware of Ms Butler's entirely false allegations against me, made after she was expelled from membership. 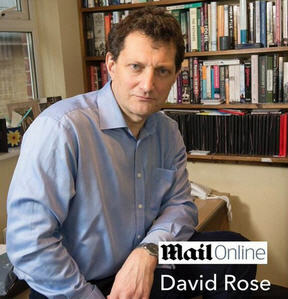 Indeed you were at my house the very day Detective Inspector Roe telephoned me and said that Essex Police were no longer going to pursue their enquiries against me. Not only did the BBC have this clear proof that Ms Butler was capable of outright lying, but you had further concrete proof when she claimed to be doing a 1,000-mile walk across Spain in the height of the summer. It was clear to all observers that this was another deliberate and outright lie with no truth in it, and you will recall that you and I discussed this. She maintained the deception about this 'walk' for weeks and continues to do so to this day. You were therefore on the clearest possible notice that no reliance could be put on any statement issuing from Ms Butler. Yet you allowed her to speak without contradiuction about the events of 12 August. Moreover, contrary to your agreement to put to me any controversial points in good time before the programme went out, you gave neither me nor Helene Davies-Green any opportunity to rebut the false statements of Ms Butler (apart from a passing reference to my denying one of Ms Butler's false statemenrts). Three of us gave you in detail a true and consistent account of that day's events. Yet the BBC decided to allow viewers only to hear the account of Ms Butler, of whose record of having deliberately lied you were fully aware. I have therefore - again in response to many queries from members, supporters and followers of ours - had to publicly correct her false statements which you transmitted to viewers. (v) that she only did so because Helene’s legs ‘turned to jelly’. In our submission the film did not do those things. 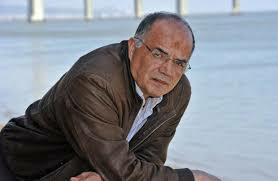 Your trailer referred to Goncalo Amaral as 'discredited'. Your film said that the theory that Madeleine McCann was found dead in her parents' holiday apartment was also 'discredited'. 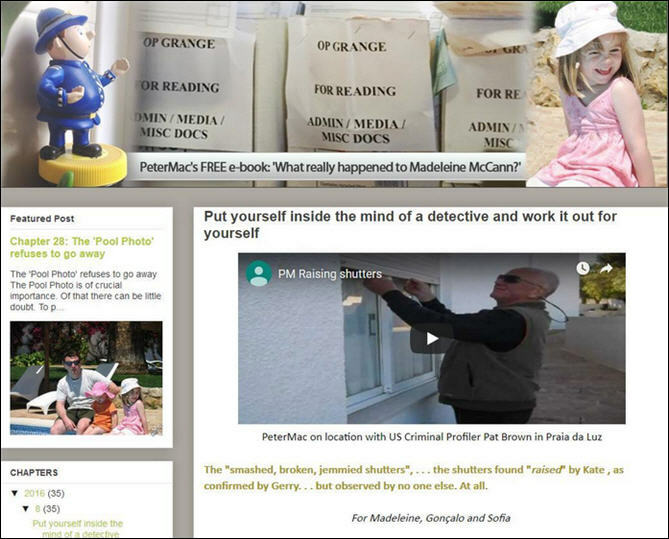 This left the uninformed viewers with a fait accompli, namely: the detective is discredited, his theory is discredited, therefore members of The Madeleine Foundation and anyone with a contrary view must be wrong and there is no basis for them to continuing to question the McCanns' account of events. None of the reasons we gave you for believing that the McCanns still have many questions to answer were aired in the film.There was no mention of the alerts to a corpse given by a dog trained by one of the world's top dog handlers. 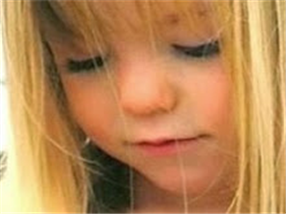 There was no mention of the many contradictions in the evidence and changes of story of the McCanns and their friends, which provide evidence that their stories may not be true. 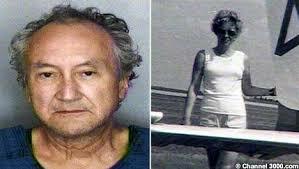 Viewers were not told that we have 500 pages-plus of in-depth analysis of the case on our website. The viewer was therefore effectively told by you that there was no basis for our view of the case - and that therefore there must be some other motive for our actions. In that context, you allowed Dr Kate McCann two separate opportunities within the film to suggest that we were motivated by a desire to attack a vulnerable family and would then move on to attack another family. 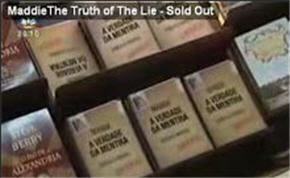 When on 19 October 2010 we heard that the Portuguese Appeal Court had overturned the book ban on Goncalo Amaral's book: 'The Truth About A Lie', we sought written assurances from you that, in the interests of fairness and balance, you would inform viewers that Mr Amaral's book was now back on sale as a result of this Appeal Court ruling. You replied: "I intend to include the development of the book ban being over-turned in my film". 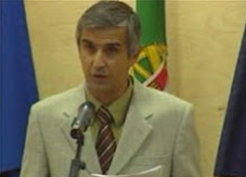 In the event you chose not to tell viewers that - and you described him as 'discredited' despite the fact that the second highest court in Portugal had just allowed his book to be read again, based on European Convention 'freedom of speech' principles. Whether that was your decision, or you were overruled by your editor and producer, we do not know. I wish also to refer to the sequence of an MF member hiding behind a lamp-post. As you well know, that member had specifically stated to you beforeahnd that she did not wish to be filmed - and we had your written agreement to that effect. You could have dealt with that issue by simply telling viewers: "Another Madeleine Foundation member was distributing leaflets but did not wish to be filmed". Why did you then try to film her and include that sequence? Further, you played the song "I don’t care what the people may say’ whilst filming me. What was that meant to convey to the viewer? The only opinion poll ever done in this country, in the Sunday Times, found that 80% of respondents did not believe the McCanns were telling the whole truth. 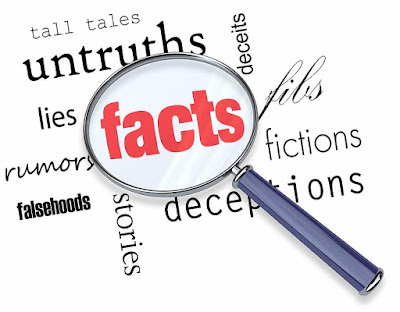 After watching the McCanns appear on a Spanish TV programme, 70% of viewers thought they were lying; only 30% thought they were telling the truth. 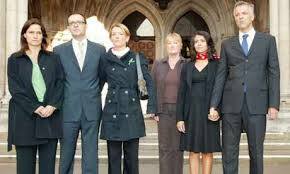 As you are well aware, there are many who doubt the McCanns' version of events to a greater or lesser extent. 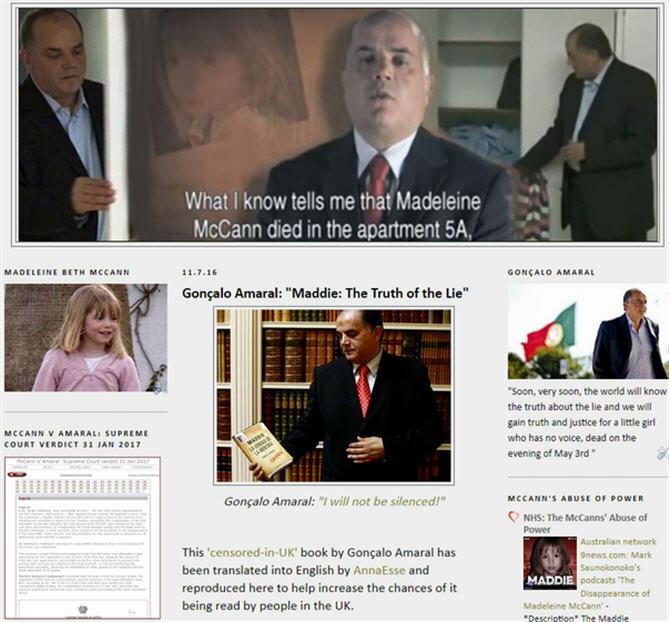 The comments sent recently by members of the public on the subject of Madeleine's disappearence to articles in the online versions of many newspapers make this abundantly clear, quite apart from all the views expressed on the Madeleine McCann discussion forums. It is partly because we do care what the people may say that we write our in-depth articles and publish our leaflets, so that people may gain a better understanding of the case. Finally, you refer directly to my having accused you of 'lying, deception and unprofessionalism'. Pretending that it was my voice reading out my internet message and using a deliberately nasty-sounding voice in doing so was a deception on the viewer - as the sort of comments I have referred to above make clear. I do not resile from describing that as a 'deception'. We were deceived into assuming that you were not going to allow Ms Butler a platform and in deciding to use her you did not offer us the right of reply. I do not say and have not said that that was 'unprofessional'. But others might. 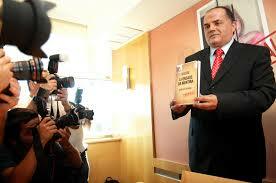 Furthermore, you led us to believe that the un-banning of Amaral's book would be mentioned in the film. 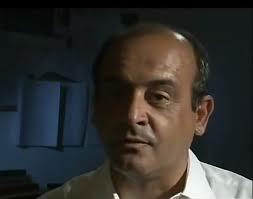 Nowhere have I accused you of lying and I am not aware of a single Madeleine Foundation member who has done so. Clearly hundreds of people have been commenting on the programme on the various Madeleine forums and I am sorry if some have used that word. Their comments are however not our responsibility. 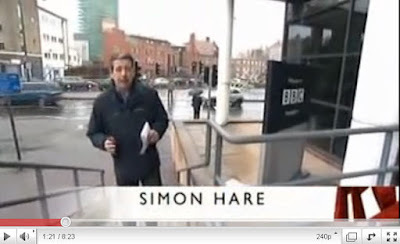 *In the opening sequence, an impression was given to the viewer that by asking Simon Hare to meet with a member at the Nottingham Gateway Hotel, we somehow misled Simon Hare into thinking we had booked our conference there. This appeared to be a very deliberate misrepresentation. After he had asked for permission to attend the conference, we had clearly told him that we were meeting ‘at a community centre in Nottingham’. We had told him to meet at the Gateway Hotel and told him we would take him to ‘a nearby venue’. 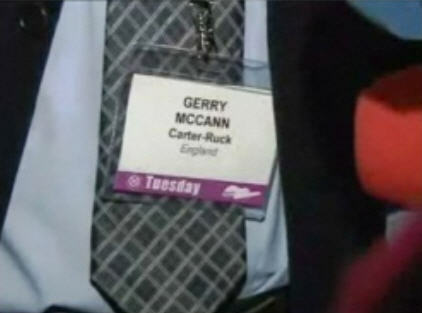 We had been absolutely straight about that, explaining that we did not disclose the venues in advance to anyone who had not registered, explaining that McCann-supporters had in the past openly threatened to disrupt proceedings. 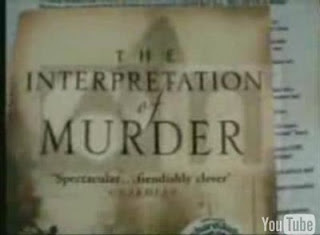 The accompanying background music to the clips of Nuthall Parish Hall was also designed to create a misleading impression of mystery. 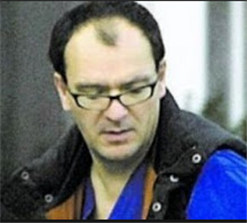 * Simon Hare claimed that after leaving the Madeleine Foundation conference he was ‘still no nearer to understanding what the Madeleine Foundation was all about’. This was disingenuous at best. 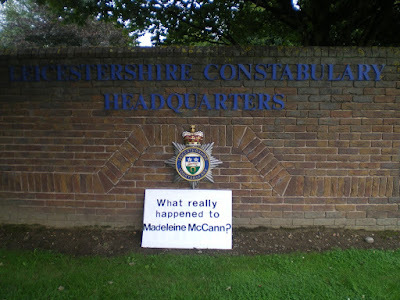 By that time, he had been able to read our entire website and had listened by invitation to a robust discussion by 19 members and supporters of what might have happened to Madeleine McCann. 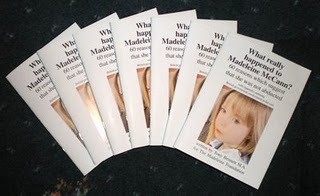 * The express purpose of The Madeleine Foundation handing in a petition to 10 Downing Street, and letters at the Home Office and Ministry of Justice, was to press the government to hold a full public enquiry, with the power to summon witnesses, into all aspects of the disappearance of Madeleine McCann. Simon Hare did not even mention this, despite promising in writing that he would make a ‘full and fair’ programme about our work. 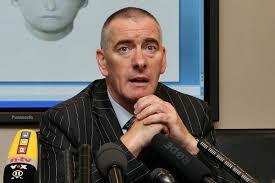 * The arguments that we gave during interviews as to why we considered that the McCanns had questions to answer, e.g. 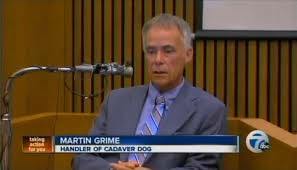 the cadaver dog’s alerts, the McCanns’ reactions to the cadaver dog’s alerts, and the long list of discrepancies and changes of story, were all left on the cutting room floor and never made the film. 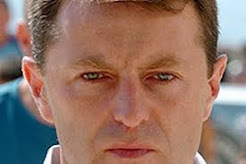 Instead, Simon Hare dismissed the all the circumstantial and other evidence that Madeleine had died in the McCanns’ apartment as ‘discredited’. In short, the film did not allow us to make our case. * The sequence of an MF member hiding behind a lamp-post was a breach of trust. 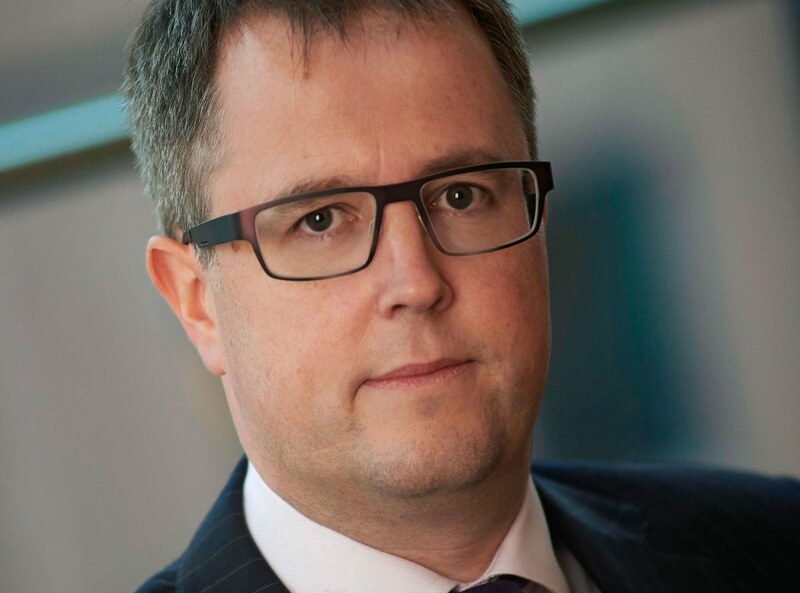 The member concerned had specifically stated that she did not wish to be filmed and Simon Hare had agreed in writing to that, having been told that many MF members and supporters feared repercussions if they made public their questioning of the McCanns’ abduction claim. * The playing of the song: ‘I don’t care what the people may say’ was cut into the film to convey a subtle, but inaccurate, message. 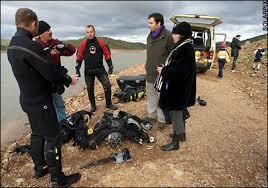 * Moreover, the other three had given to Simon Hare their account of the day’s events and none of those were used. 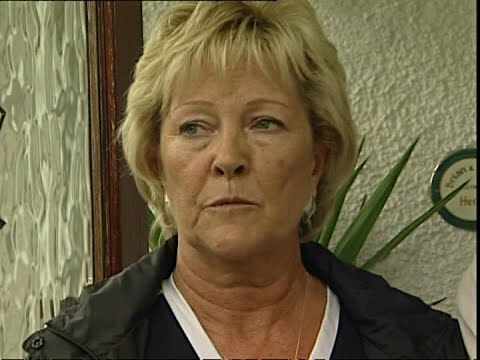 * During the making of the programme, Simon Hare had been given chapter and verse about Ms Butler’s malicious claim of fraud against Tony Bennett and full particulars of her repeated false claims to have walked across Spain in the summer heat, making it as plain as could be that her word on anything could simply not be trusted. 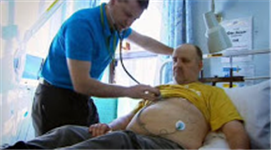 Moreover, Simon Hare had given his promise that because of these concerns he would not be interviewing Debbie Butler for the programme. * The longest clip shown of the Bristol leafleting was of a group of students challenging Tony Bennett. Other sequences showing Tony chatting to passers-by who were in full support of our campaign and asking to take away more leaflets to hand to others were clearly left on the cutting-room floor. * No reference whatsoever was made to the in-depth articles on our website, e.g. 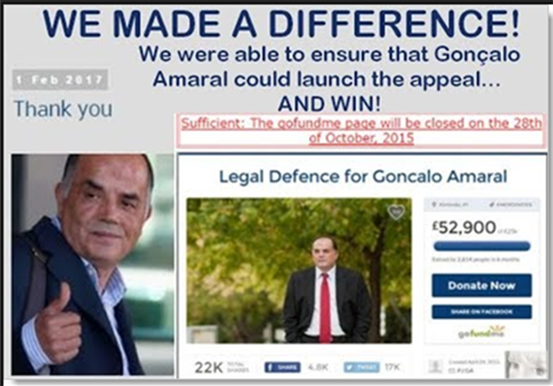 about the contradictions, about the private investigators, about the Fund, about Robert Murat, about the trials of Goncalo Amaral, about Marcos Aragao Correia, etc., yet these form the core of our work, and the BBC promised a ‘full’ look at the work of The Madeleine Foundation. 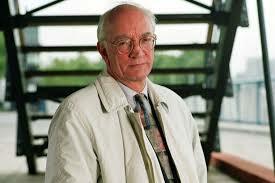 * During the filming of Grenville Green, Simon Hare asked to film him running a Union Jack up the flagpole in his garden. He asked Simon Hare: “What do you want to do that for?” and refused. These were not the only points of concern raised about the film. At stake had been the reputation of the BBC for fairness, integrity and honesty. What action we take to raise these concerns formally with the BBC has not yet been resolved. 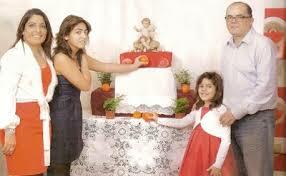 The BBC are to air their short programme on the Madeleine Foundation this evening amid fresh controversy. Although I’m not a member of the Madeleine Foundation, I did attend the meeting in Nuthall as a supporter ...a supporter in as much that I lean towards the possible death of Madeleine in apartment 5a. For me personally, the abduction scenario just doesn’t fit. The Nuthall meeting was the first I had attended and naturally I had no idea what to expect. I knew I would be meeting like-minded people to discuss the case and chew over various ideas but that was about it. I also knew, as all attending members/supporters did, that BBC journalist Simon Hare would be there on Sunday afternoon. This nearly put me off from attending until I learned there would be no cameras present. I attended Saturday’s venue and was pleasantly surprised by the warmth of the people, feeling as though I’d known them for years and quickly settled in. I listened to the debates, suggestions and ideas and was quietly impressed with the in-depth knowledge of most. There was no nastiness or name calling. 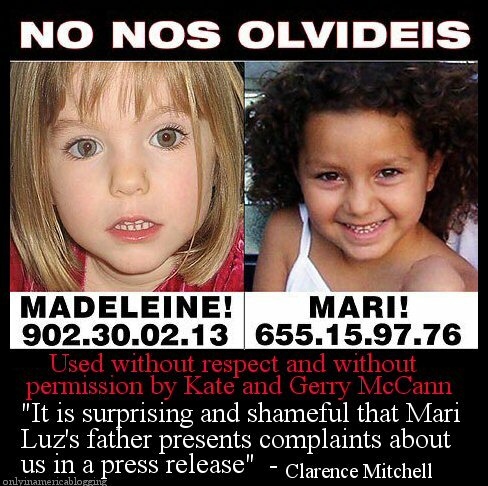 The McCann name was never at any time mocked in anyway. The whole reason for gathering together was to brainstorm the information each person had collected. Sunday morning was very much the same, but things changed on the afternoon when Simon Hare arrived. Although Simon seemed a genuinely nice person (I must say that there’s no doubt he is a very likeable person), no one likes the feeling that there may be a spy in the camp.... consequently, the brainstorming minimised and people were careful on what they said. The outcome was a rather splintered discussion compared to Saturday and the morning of Sunday. So, I can understand when Simon said at the beginning of the documentary that: “But at the moment I still don’t feel I’m any nearer to understanding exactly what the Madeleine Foundation is about.” However, as he spent subsequent months in the presence of Tony Bennett, Grenville and Helene Green, I have no doubt that he is fully aware what the Madeleine Foundation is about, yet nowhere during the 16 minute documentary did he correct his original statement. His apparent on- the-spot interviews with the general public comes into question too. It seems he only aired the negative comments rather than doing a professional job of airing both sides to the argument, which is of course, is one of the objectives of professional journalism. Were these carefully selected people or did Simon simply decide that anyone who spoke in favour of the Madeleine Foundation would be left on the cutting room floor? And why did he include a group of children who are not old enough for life experience let alone to make an informed decision? Choose anyone who is spoon fed by the mainstream media who hasn’t so much as begun to investigate the case and you will hear parrot fashion responses. Goodness, it was on the News so it must be true! 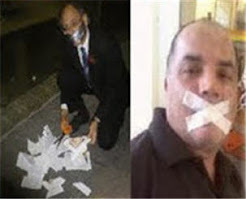 Another psychological move was to show Helene Davies-Green with the now infamous Sun article calling her and the Madeleine Foundation ‘Sicko’ ... this was quickly followed with a clip of Grenville Green in Portugal supporting Mr Amaral’s Freedom of Speech. I’m not quite sure why it was spliced this way but in case there is any confusion between the meanings of the two clips: Name-calling and freedom of speech is not the same thing. 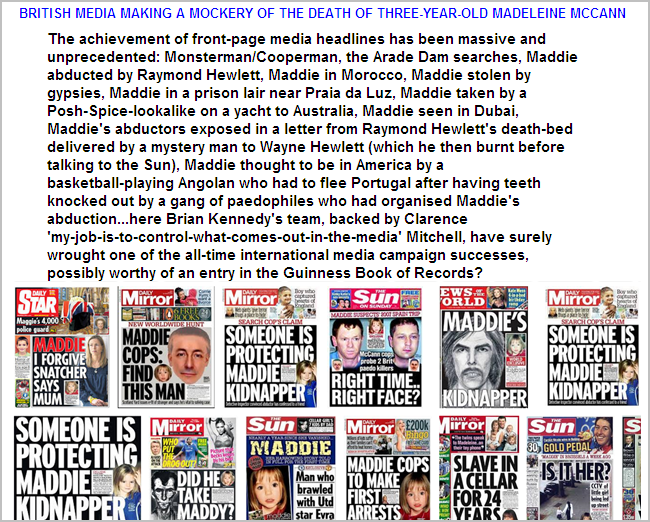 I have never heard any of the Madeleine Foundation members lower themselves to such levels as the Sun had done. To my mind the documentary appears to discredit the Madeline Foundation, albeit in an almost friendly manner. But to be fair, I’m sure if the ‘Inside Out’ team wanted, they could have portrayed the Foundation in a worse light, especially considering previous press coverage that's been levied against them. So on that point, Simon and his 'Inside Out' team should be congratulated for not turning the documentary into a complete anti-Madeleine Foundation campaign. On a lighter note, I did quite like the filming of Helene in the kitchen preparing wild mushrooms and of Grenville tinkering with his now infamous motorbike – ordinary people going about their lives, yet sharing one thing in common with the fast growing public concern that something is not quite right with the abduction scenario. The Madeleine Foundation isn’t a huge organisation which shows itself off in places such as expensive hotels which brag conference rooms the size of football fields – that can be saved for the likes of corporate investors and others who may feel the need to impress – The Madeleine Foundation, rightly so too in my personal opinion, choose to hold their meetings in more friendly surroundings where buffets are laid on by the members. Had it been any other way then I for one would feel most uncomfortable. Simon Hare may have expected the hotel (where he met Tony Bennett before being brought to the village hall) to be the meeting place for the Madeleine Foundation but then that does show the mindset of someone who is probably used to a more exaggerated atmosphere...no offence intended to Simon Hare. 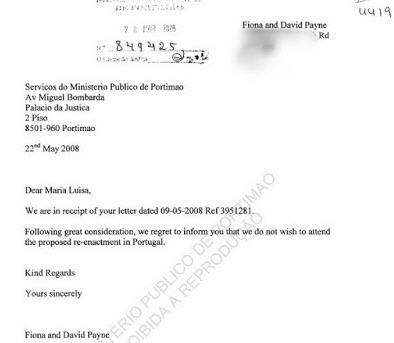 Another point to make is that Kate and Gerry McCann are not looking for the case to be reopened as stated by Simon Hare; they are merely looking for a review. The two are very different things with very different meanings. I seem to have the feeling that the documentary was a prelude to something much bigger on the horizon, mostly because it never really concluded anything. In fact it was so disjointed in places it leaves the viewer wondering what the purpose of the documentary was, especially as ‘Inside Out’ bragged they intended to find out what the Madeleine Foundation is all about...when finding out was the last thing they seemed interested in and something the documentary did not seem to accomplish regardless of the amount of time spent with the main members. 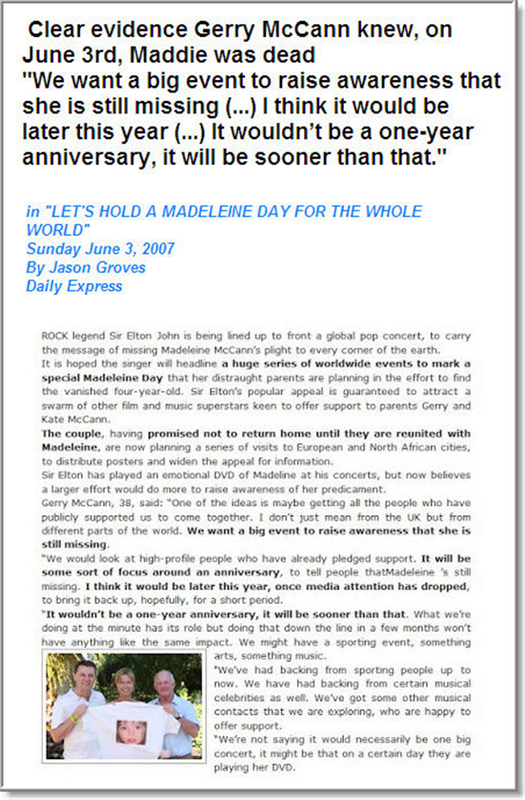 Considering Kate and Gerry McCann have a vested interest in making the public believe their abduction scenario it is understandable that the Foundation (and many others outside of the Madeleine Foundation for that matter) should put aside their word of what they say happened (as I have mentioned several times in other articles, it is ONLY the McCann couple who have suggested and pursued this route. The police have not.) 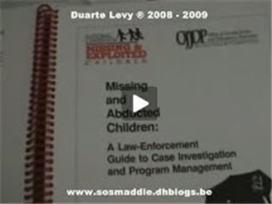 For this reason the Madeleine Foundation use the official police files as their guideline which – incidentally – does not contain any evidence to suggest there was ever an intruder in the family holiday apartment in Praia da Luz. 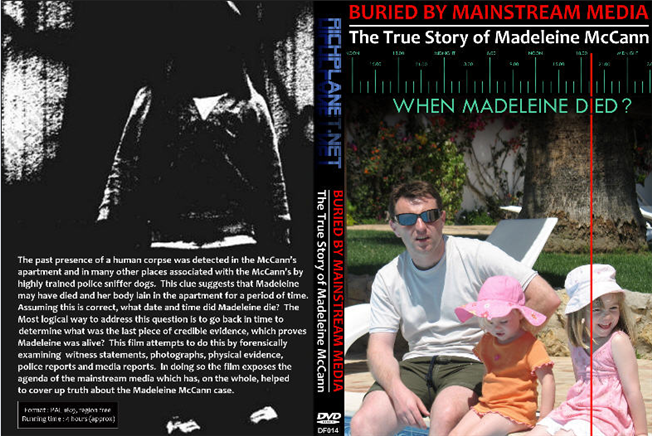 So, in the belief that Madeleine may have died in apartment 5a, their sole objective is to try and uncover what really happened to Madeleine McCann in May 2007. 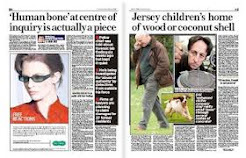 These questions were originally posted within the Sunday Express' "Have Your Say" comments section which accompanied the article, 'Kate and Gerry McCann get help from JK Rowling', published 21 November 2010. These comments, along with all other comments, were removed at around 09:50am the following morning. This was not a pre-scripted list, it flowed as thoughts emerged, and needs to be read in that context. Whilst the author has kindly allowed me to make amendments, I have decided to keep it as originally posted as any amendments by me would destroy the spontaneity and emotion of the original. 1. Will Kate McCann in her book tell us why she left her three children, a three year old and two, two year olds alone in a dark unlocked apartment in a country foreign to them? This she did for 5 consecutive nights! 2. Will Kate McCann tell us why, despite being told by her three year old daughter on the morning of the day she was reported missing, that she and her baby brother had been awake, afraid and crying the previous evening, crying because mummy and daddy had left them once again – why she or her husband Gerry did not stay and look after the children but, decided it was BEST to leave them once more in an unlocked apartment? 3. Will Kate McCann tell us why she discussed this at the dinner table with friends, telling them that she left the door open for Madeleine to wander into the night in her bare feet and pyjamas to look for mummy and daddy in the pub? 4. Will Kate McCann tell us why knowing her three babies had cried for her, knowing she had left them alone again, knowing she had left the door unlocked, that she sat in the pub for over 90 minutes and DID NOT go and check on her children? 5. Will Kate McCann tell us why when she arrived at the apartment she, and I quote – 'wasn't going to bother to look in the bedroom to do a visual check' of her children? 6. Will Kate McCann tell us why when she noticed the bedroom door more open, curious she walked towards it, but STILL did not look inside to see if her children were okay, she simply closed it over? 7. Will Kate McCann tell us why in their original police statements it is said that both she and Gerry, her husband entered the apartment by the locked front door USING THEIR KEY? 8. 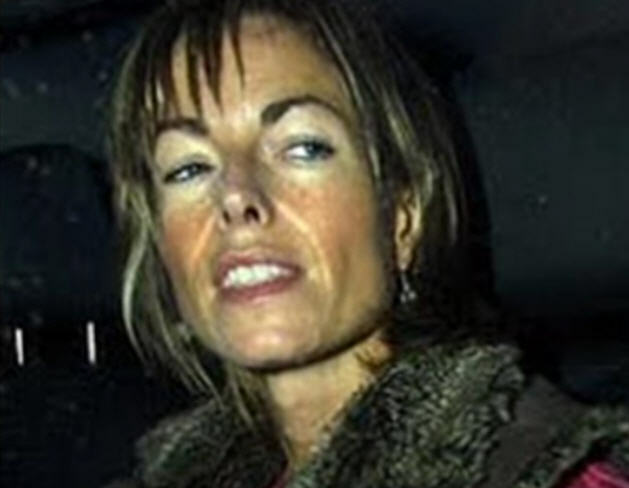 Will Kate McCann tell us why she told the world that the bedroom window was open and the shuttered jemmied open when she arrived at the apartment, when this was NOT the truth and her highly paid spokesperson, Clarence Mitchell, ex Labour Party Media Monitor had to retract this very statement? 9. Will Kate McCann tell us why they then changed their story of the window and shutter being jemmied open – the route she stated the abductor had used (forensics proved that no one had gone through this window either in or out) to there now being an unlocked patio door, which then conveniently became the means of entry for an alleged intruder? 10. Will Kate McCann tell us why she immediately before searching for her child, before raising the alarm to her friends, before contacting the police, knew that her daughter had been abducted? She had left the patio door unlocked she stated for the child to leave the apartment in the cold dark night to look for her and Gerry McCann in the pub. Why would she not have considered that this is what the child might have done? Done what her parents expected of her! 11. Will Kate McCann tell us why she later stated that Madeleine would never leave her toddler twin brother and sister on their own, therefore would NOT have left the apartment? 12. Will Kate McCann tell us why when her daughter told her that she had been awake and crying because mummy and daddy were not there to care for and comfort her, that she and Gerry began thinking when this might have been, I quote "was it maybe when we were bathing them that they had cried?" Bathing them that is before leaving them! 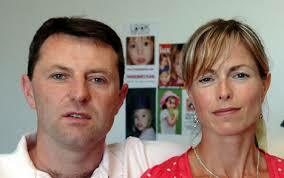 Mrs Kate McCann and Mr. Gerry McCann stated the above in televised interview. Such a ridiculous answer to the question put to them. 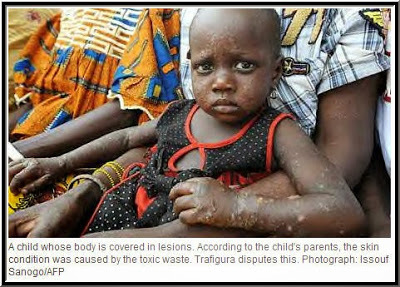 Quite clearly the child had asked of her parents – why had they not come when she and her baby brother had cried for them? 13. Will Kate McCann tell us why her friend who supposedly saw a man carrying off their daughter at around 9:15 pm did not tell them of this until the early hours of the next morning? 14. 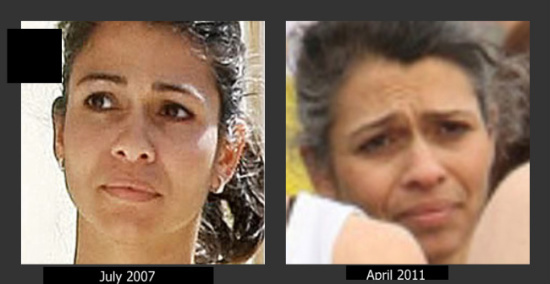 Will Kate McCann tell us why this same friend did not notice the open window at this time? 15. 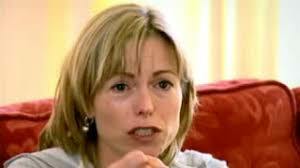 Will Kate McCann tell us why she allowed a man whom her children did not know, a man who said he did not know the McCann children into her apartment that night to check on her children? If the children were awake and distressed as they were on the previous night when alone, the sight of this man would terrify them half to death. Was this man to then return to the pub leaving the children in a more distressed condition and tell the parents they were awake and crying? 16. 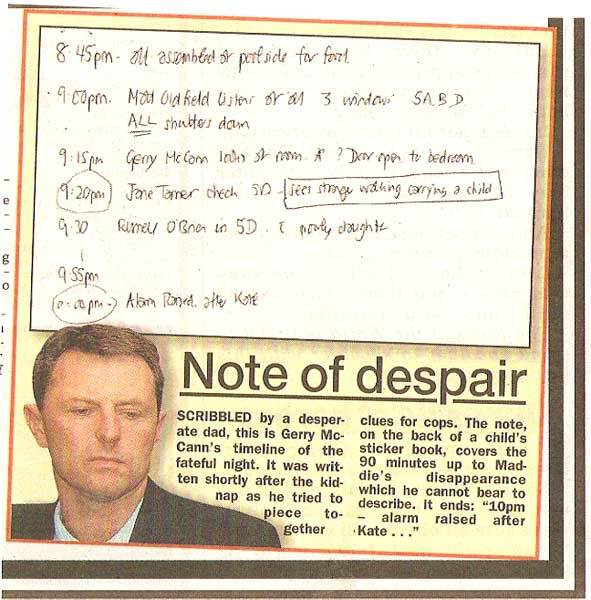 Will Kate McCann tell us why when no one within that group of parents checked on each other’s children throughout that week, that this one night they allowed the one person in the group who stated he did not know the children to do so? 17. Will Kate McCann tell us why, if the window and shutter were not jemmied open and NOT open at 9:30/9:40 ish when this man checked on her children how it came to be open when she checked 20 minutes later? 18. 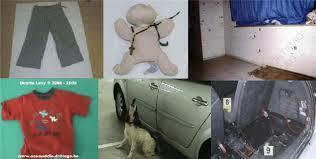 Will Kate McCann tell us why police forensics found ONLY her fingerprints on this window area? 19. Will Kate McCann tell us why she believes the alleged abductor opened this window, not as his means of entry/exit (that was her original story) but as a 'red herring?' This she states on the McCann Website! 20. Will Kate McCann tell us – if the abductor opened this window and jemmied the shutter(as a red herring) and was seen carrying off the child (in the McCann abduction theory) at 9:10/9:15, how did it come to be closed when the man from their party – Matt Oldfield did a check of the McCann apartment at 9:30/9:40? And open again when she arrived at 10’ish? 21. 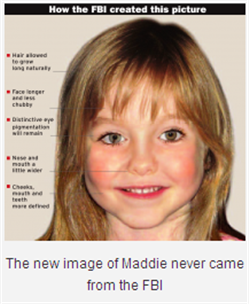 Will Kate McCann tell us how this possibly could be? 22. Will Kate McCann tell us in light of this crucial information (that the window was closed at 9:35/9:40) how it is that she will not accept that her daughter could possibly have been removed from the apartment after the time of the check by Matt Oldfield and the time she arrived at 10:00 pm? 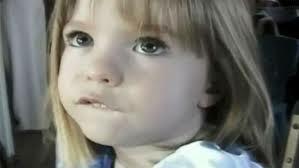 Matt Oldfield said he glanced in the McCann children's bedroom but did not bother to look and see if Madeleine was in her bed. The window and shutter being intact at this time clearly indicates that if someone was seen at 9:15 carrying off the child, then it was NOT this person who opened the window and shutter! 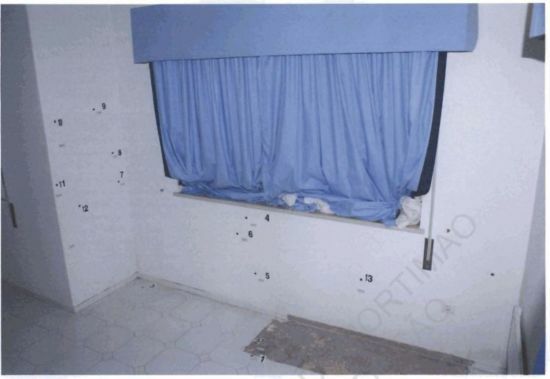 That window and shutter were opened after 9:40 and 10:00 pm Kate McCann’s check. Only her fingerprints were found on the window area! This shuttered window (shutters that are not able to be opened from the outside – that is their purpose – security) was beside the front locked door, and one had to pass right alongside it to get to the front door. 23. Will Kate McCann tell us why on her check of the children – when she entered the apartment by the front locked door, passing the shuttered window (as was the original version given to police) that she failed to notice that the shutter was almost fully up and the window open as far as was possible? 24. Will Kate McCann tell us why the sighting of a man by an Irish family, the name of Smith, four adults, who saw a man carrying a blonde child in pyjamas, was not followed up with purpose? 25. Will Kate McCann tell us what she thinks of the fact that one of the Smith family members is sure that the man he saw carrying the child was GERRY McCann? 26. 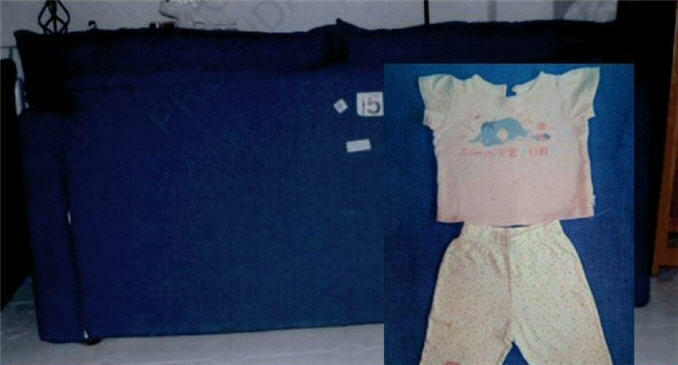 Will Kate McCann tell us why she told police that Madeleine's pyjamas had a tea stain on them on the morning of the 3rd May 2007 and that she had had to wash this stain out? She did not know how the stain came to be on the pyjamas as it was a dried stain, aged. She had not noticed this when she put her to bed the previous evening and at that time she had only given the child milk to drink. What was her reason for bringing this up? Did Madeleine attempt to make tea in the absence of her parents on the night of the 2nd? Did she do so again on the night of the 3rd and was injured? What is the significance of mentioning a tea stain? 27. Will Kate McCann tell us why she asked Madeleine at teatime on the night she vanished, if she was upset at not having been asked to the beach with all of the other families in their group that day? A cruel thing for a mother to do! 28. Will she tell us why she asked this of her daughter when it was not true? 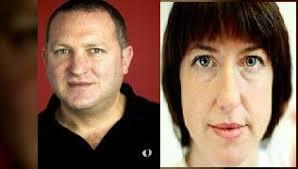 The McCann's had been asked to join the others, but declined! 29. Will Kate tell us why their versions of events change quite dramatically from one televised interview to another? 30. Will Kate McCann tell us why she did not answer the questions put to her by police, hindering the investigation into the disappearance of her daughter? 31. Will Kate McCann tell us why she accepted that her friends felt to take part in a criminal reconstruction of events of the evening her daughter disappeared as requested by police, was a pointless exercise and refused to do so? One friend said it would be too emotional – outrageous! The McCann's believe their daughter is alive, most likely with paedophiles, and yet they all felt to assist police was pointless and would be too emotional. Let us hope the wee girl understands their distress if she is ever found alive and rescued from the years of torture at the hands of the paedophiles! 32. 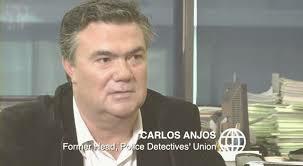 Will Kate McCann tell us in what way the book by Goncalo Amaral, the ex police officer who has much experience a skilled and respected officer during his time with the Portuguese police, and who reported in his book the findings of the police investigation, will she tell us how that has hindered the McCann private investigation? Will she give us specific examples of this? 33. 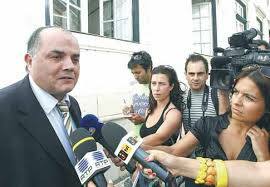 Will Kate McCann tell us why they have disrespected the ruling of the Court in Portugal and have refused to return to Goncalo Amaral the books belonging to him? 34. Will Kate McCann tell us if she and her husband are holding on to 'The Truth of the Lie' by Goncalo Amaral as they fear it being published in the UK? 35. Will Kate McCann tell us whether it is the case or not that they want their book published in the UK before Goncalo Amaral's – which is the account of the police investigation? 36. 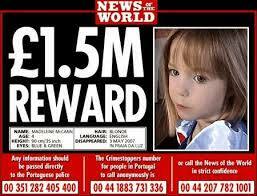 Will Kate McCann tell us why there is an online petition for a review of the case of missing Madeleine, when she knows that this will hold no water with either Government, Portugal or UK in helping along any review? 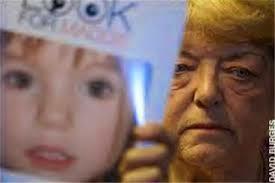 Theresa May has made this quite clear, that the crimes against this child Madeleine McCann – abandonment and whatever else, where committed in Portugal and only the Portuguese have jurisdiction! Ann Widdecombe also wrote a piece on this! 37. 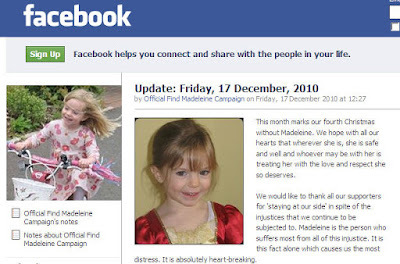 Will Kate McCann tell us why they are waiting for the petition to reach 100,000 signatures before taking it to..? They know perfectly well that it is of no use! 38. 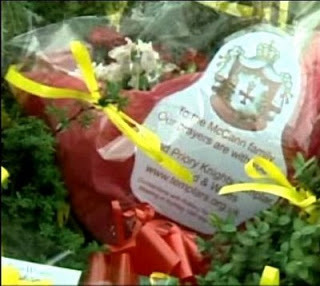 Will Kate McCann tell us why on the steps of the Lisbon Court they claimed that the Portuguese police had information marked as irrelevant re missing Madeleine which contained important leads and new sightings of the child, information which was passed to them in January 2010 yet they stated on televised interview but two weeks ago that their private investigation has come up with nothing? 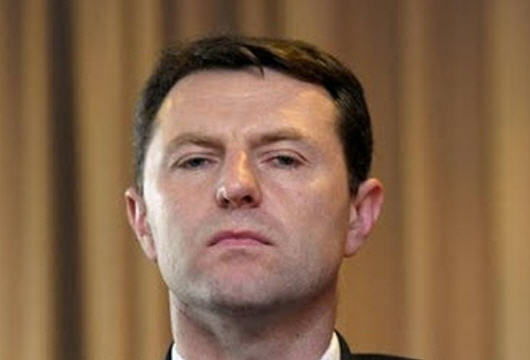 Gerry McCann stated they have no leads at all! 39. What happened to this information, did they check it out and realise that the Portuguese police had indeed done their job? 40. Will Kate McCann tell us why it is, for the umpteenth time since their daughter disappeared that they have made claims that their Fund is running low (usually standing around £300,00 - £500,000 at these times) and that this phenomenal amount of money is not enough to search for their daughter! 41. 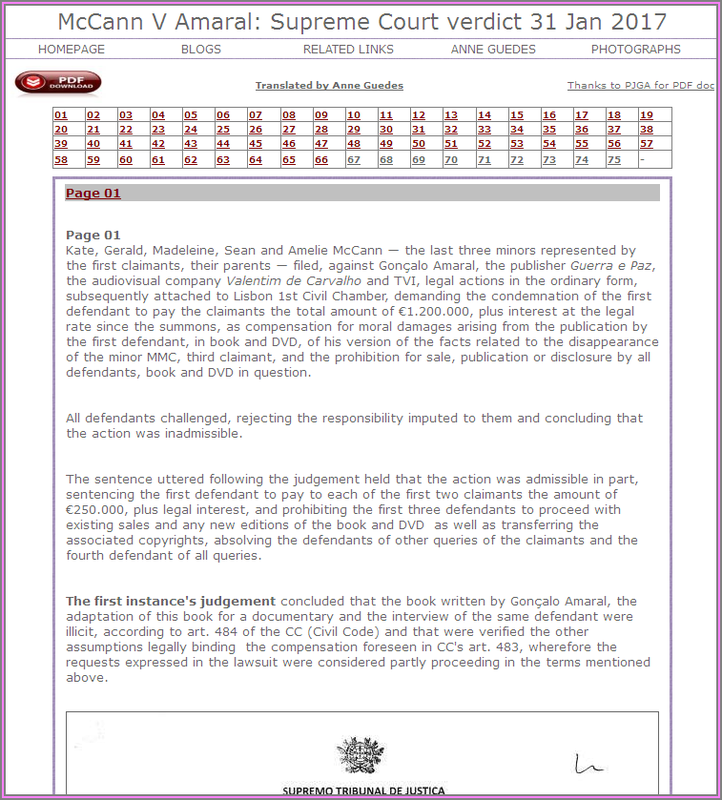 Will Kate McCann tell us why on televised interview two weeks ago that the McCann's once again made these claims, appealing for money from the public, when at that time they the McCann's had secured a book deal and had been given an advance payment in this regard, that 600,000 words of the book were already on paper? 42. Will Kate McCann tell us why they mislead the public in this respect? 43. Will Kate McCann tell us why it is that they continually in interview state that no one is looking for Madeleine with the exception of her and Gerry and a £multi million Fund donated by the public, and imply that the Portuguese police have abandoned them? 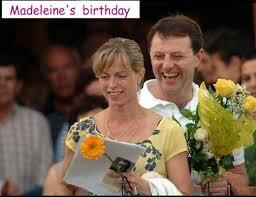 Kate and Gerry McCann, before this case was shelved, did have the opportunity to request that it remain open. They allowed the deadline date to pass. Kate and Gerry McCann, as do the rest of the world, realise that no investigation be it murder or missing persons remains open indefinitely when there is no new information or leads. Investigations throughout the world are shelved until such times as new credible and relevant information comes to light. 44. 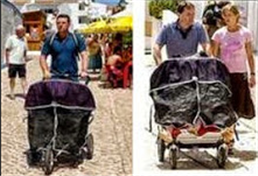 Will Kate McCann tell us why she insists on their portrayal of the abandoned parents, abandoned by the police both here in the UK and in Portugal when this is not the case at all? Why would these parents do this, for sympathy, for donations to their Fund? 45. 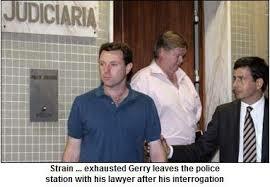 Will Kate McCann tell us why she and husband Gerry will not go to Portugal request the RE-OPENING of this case – (not merely a review – which has in fact been done before) and co-operate with the Portuguese authorities in taking part in a criminal reconstruction, along with their friends, and also answering any questions put to them this time around? They both know that this would go a long way to having this case re-opened? 46. 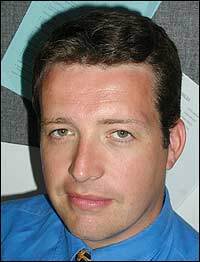 Will Kate McCann tell us if the Private Detective Dave Edgar,ex police British Police Officer, has any ideas of his own regarding how Madeleine came to be missing, or as their employee is he simply going through the motions, going along with them, agreeing with their theory on abduction, the time it took place etc? It would seem odd for a detective to agree entirely with them, when you consider the fact that there is NOT one shred of evidence that abduction took place, and the many versions of events told by the couple both in their police statements and on televised interview. 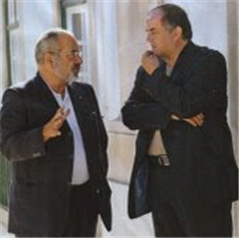 More importantly, it would not be in keeping with the police files detailing the findings of the Portuguese police, which do NOT point to abduction? 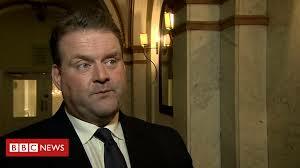 Does he and all of the many PI's before him, simply pick up their pay cheque and not ask questions? Two and a half years he has been employed by them and he has come up with nothing at all! 47. 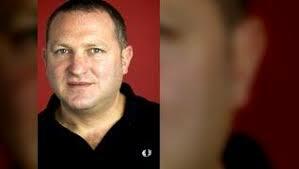 Will Kate McCann tell us why this private detective Dave Edgar said in press conference that Jane Tanner their friend who supposedly saw a man carrying off Madeleine at 9:15 pm (while her daddy Gerry stood on the street and the guy walked more or less right by him) may not have seen a man but a WOMAN? 48. Will Kate McCann tell us why this detective has reached the conclusion that Madeleine is in a lair in PDL wilderness, yet they have not used any of the £millions in the Fund to search here? 49. Will Kate McCann tell us if the £300,000 left in the pot, plus the advance from the book deal will be ploughed into doing just that, searching this area? 50. Will Kate McCann tell us why if their private investigator believes this is where Madeleine is being held, that they stated on televised interview that they had NO LEADS at all? 51. 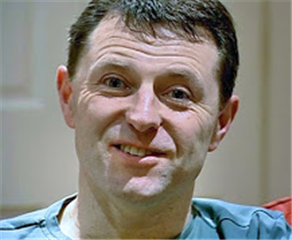 Will Kate McCann tell us why in their documentary, self made, that Gerry McCann enters the apartment on his check of his children, using the front locked door (which ties in with his FIRST police statement) yet he changed this story to having entered by the unlocked patio door? 52. 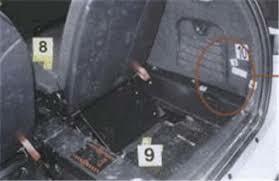 Will Kate McCann tell us why their documentary was littered with items which do not tie in with their police statements and other televised interviews? 53. Will Kate McCann tell us why mid way through the holiday they changed their system of leaving the children in a locked apartment to leaving them in an unlocked apartment? 54. 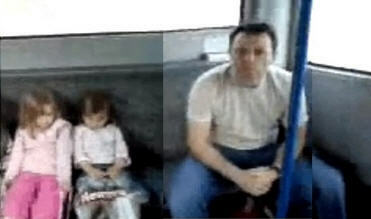 Will Kate McCann tell us why they would think that this was the safer option? Kate McCann and Gerry McCann stated that they began leaving the patio door unlocked as the noise from the front door might wake their children (my goodness how awful for them, to have to attend to their OWN crying children whom they had left alone in a strange environment) if up until that point the opening of the door had NOT disturbed their children, and all was well, why then would they even discuss leaving their children so vulnerable or how could they, not as medical professional reach the decision that this would be best for their three wee kiddies? 55. Will Kate McCann tell us on WHAT night they decided it best to leave their children in an unlocked apartment, leaving their children more at risk, more vulnerable? 56. Will Kate McCann tell us what instruction she gave to Madeleine in respect of exiting the apartment and going out into the cold dark night to search for mummy and daddy? 57. Will Kate McCann tell us if she left warm clothing out for the child? 58. Will Kate McCann tell us at what time and on what day she told Madeleine that the door would be left unlocked for her to exit? 59. Will Kate McCann tell us, what was her three year old daughter's reaction to this plan? Did the child jump for joy at hearing this news, or did she, as one would expect of a three year old, upset at the idea that her parents were going out to leave them again, and scared witless at the prospect of having to go out into the night alone and look for them? 60. 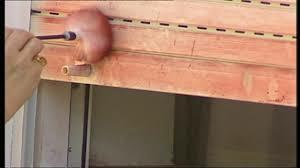 Will Kate McCann tell us if she unlocked the child safety gate at the top of the stairs which Madeleine would have had to negotiate had she left through the unlocked patio door? 61. Will Kate McCann tell us how she could have possibly been comfortable going out to dinner knowing that she had left the door unlocked for the purpose of her three year old child to exit out into the night, negotiate child gates, steep stairs onto an open road with vehicular traffic and then to somehow search for her mummy and daddy? 63. Will Kate McCann tell us why it is that they have employed at least five lots of private investigators to search for their daughter, none of them experienced in looking for missing persons? 64. 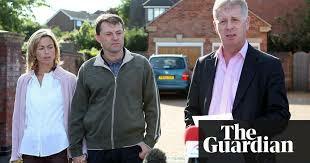 Will Kate McCann tell us why it is that they have a formidable legal team at the ready should they, Kate and Gerry McCann require their services if any criminal charges are brought against them? 65. Will Kate McCann tell us how they can manage to secure for themselves, only the very best in their field to protect them, yet for Madeleine there has been a string of dodgy detectives, who they have paid £1million + from the Fund? 66. 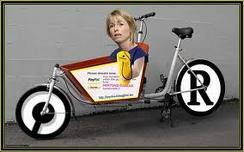 Will Kate McCann tell us why for 6 months they paid Metodo 3 a detective company, hundreds of thousands of pounds, a company who claimed they would return Madeleine by Christmas of that year they were employed by McCann’s, a company who had no experience in looking for missing persons? 67. 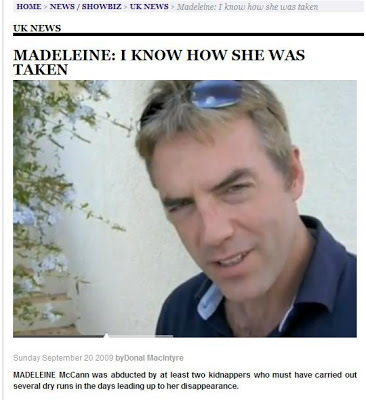 Will Kate McCann tell us why they paid Kevin Halligen, from the firm Oakley, hundreds of thousands of pounds to search for Madeleine, a fraudster, who was wanted by the FBI and who is now in prison in the UK awaiting extradition to the US? 68. 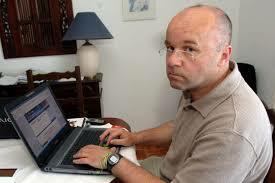 Will Kate McCann tell us how their formidable team did not know the background of this man? 69. 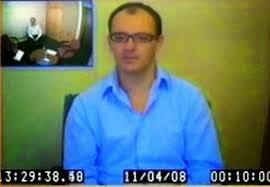 Will Kate McCann tell us why their spokesperson Clarence Mitchell, at the time the news broke re Kevin Halligen, stated that Halligen had done a good job whilst in the McCann's employ? 70. 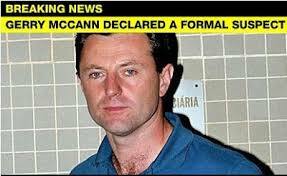 Will Kate McCann tell us why later news report were of the McCann's being ripped off by this man, though no comment from the McCann's? Someone swindles them out of hundred of thousands of pounds and they have nothing to say! 71. Will Kate McCann tell us why they are not attempting to re-coup this money, and why they choose to sweep this under the carpet? 72. Will Kate McCann tell us why they are not taking action against this man but would rather ask the public to once again put their hands in their pockets, despite knowing also that they had a book deal, and an advance payment coming their way? 73. Will Kate McCann tell us why if as they said in interviews given to the UK news channels recently, that their Fund was low, did they contradict this on Portuguese television stating that they had been quoted inaccurately? This was not true. It was not a case of inaccurate reporting, they spoke on television we all heard what the McCann's had to say...nothing inaccurate about it! 74. Will Kate McCann tell us why (as she and her husband Gerry remain 'persons of interest' to any future re-investigation of this case) that she believes as 'possible suspects' if you like that they are entitled to be given access to the police files, those that are not available to the public? 75. Will Kate McCann tell us why their daughter Madeleine was made a Ward of Court? 76. 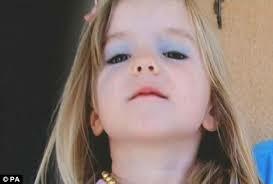 Will Kate McCann tell us who it was that Madeleine required to be protected from? It was not an alleged abductor! 77. 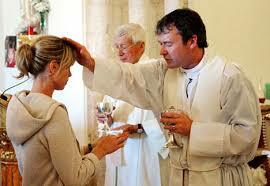 Will Kate McCann tell us how often she attended church in PDL before Madeleine disappeared? 79. Will Kate McCann tell us, either yes or no – Did her husband Gerry know Robert Murat? 80. Will Kate McCann tell us why they tell the press and on televised interview that they have been cleared of any involvement in their daughter's disappearance, when this is not the case at all? 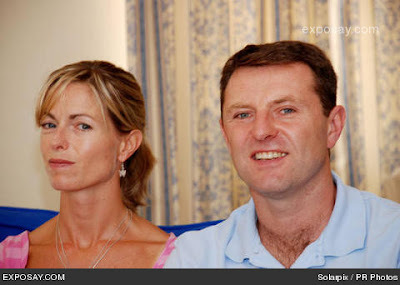 The McCann's have never been charged at this point in time with any crime against their children, therefore they have not appeared in a Court of Law, therefore cannot possibly have been CLEARED! 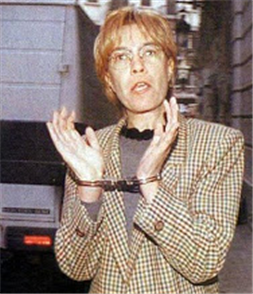 The McCann however were released from their arguida status. No more no less. 81. Will Kate McCann tell the public explain to them what measures, if any, they have taken to prevent once more, donations to this Fund being spent on dodgy detectives? £1million + thrown down the drain is one hell of a lot of money to have been so careless with. It was £1million + that was donated to help find this child, and it was handed over to fly by night detectives, and I cannot for a moment understand how this could have happened? 82. 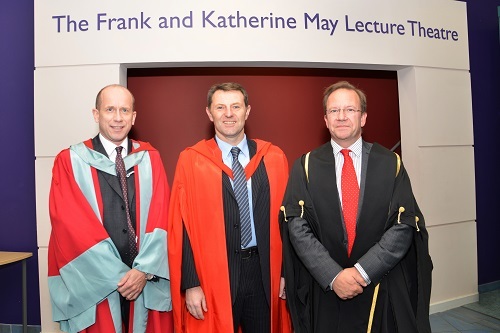 Will Kate McCann tell us why the new set up within their Board of Directors (Gerry McCann's brother has now left amid speculation as to why) of which she and Gerry are now part, is more effective than before? 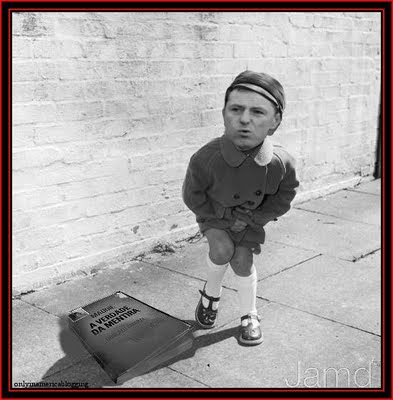 McCann's stated the new Board are more effective! 83. 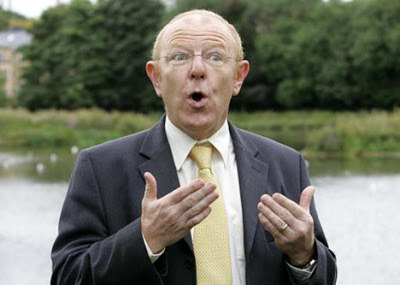 Will Kate McCann tell us if Mr. Kennedy the owner of the double glazing company is still meeting any of their costs, paying for Clarence Mitchell's salary, legal fees or otherwise? 84. 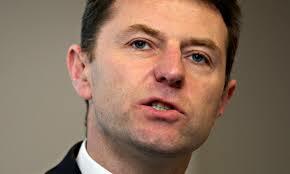 Will Kate McCann tell us if Mr. Kennedy's solicitor is still acting on their behalf also? 85. 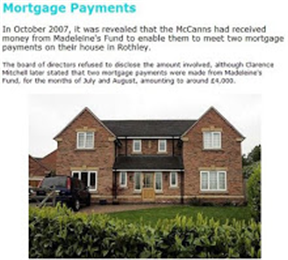 Will Kate McCann tell us how much they are now paying for the 'spinning services' of Clarence Mitchell? 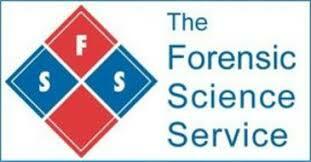 Full time salary was reported as £70,000 per annum, part time - £28,000 per annum! 86. Will Kate McCann tell us how many are on their payroll and at what cost? 87. Will Kate McCann tell us why on interview recently they claimed to be running short of money, but with the same token stated they had taken on 2 or 3 new private detectives? 88. Will Kate McCann tell us, with this team, now increased in number, if they have made any headway in this private investigation? 89. Will Kate McCann tell us if these 2/3 new detectives are simply going over the files which the 5 lots of private detectives before them did, to no avail? 90. Will Kate McCann tell us what salary is paid to each of these detectives? 91. Will Kate McCann tell us how many detectives are now on their team and what role, do each of them play? 92. Will Kate McCann tell us if Dave Edgar still leads this private investigation? 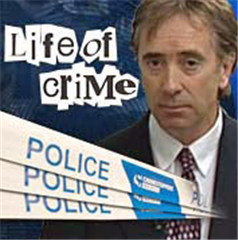 As he appears not to have noticed any of the great holes in the police statements, official police files, and has gone along with inconsistencies in the self made documentary, one has to question his motives? 93. Will Kate McCann tell us why she and Gerry McCann insist that the findings of the cadaver dogs should not be taken seriously? 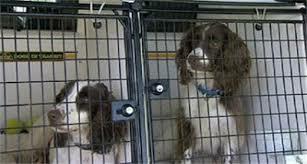 Dogs which have been used around the world and successfully so in such cases? 94. Will Kate McCann tell us how many patient deaths she attended in the weeks prior to going on holiday to Portugal? 95. Will Kate McCann tell us why it is that she believes Madeleine will be giving her captors and torturers 'her tuppence worth'? 96. Will Kate McCann tell us how it is that she and her husband Gerry insist on stating that there is NO EVIDENCE that Madeleine has come to any harm...when clearly she has? 97. Will Kate McCann tell us why it is she and husband Gerry have never once said that they were sorry for the appalling neglect of their children, or more to the point have not ever accepted that they did wrong? 99. 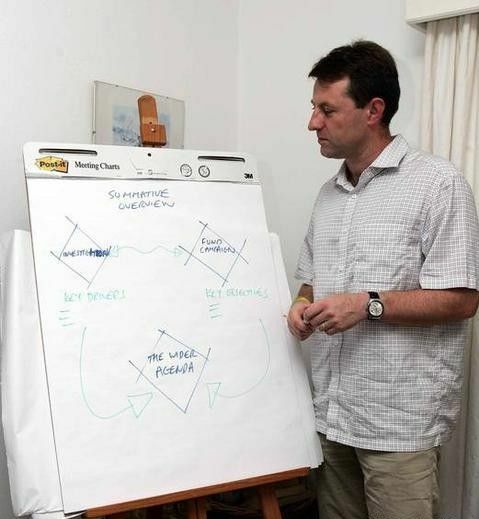 Will Kate McCann tell us why husband Gerry said he knew there was something wrong in the apartment due to the bedroom door being open wider, yet he did not investigate how this came to be and chose to return to the pub, leaving the children alone again in the unlocked apartment? 100. 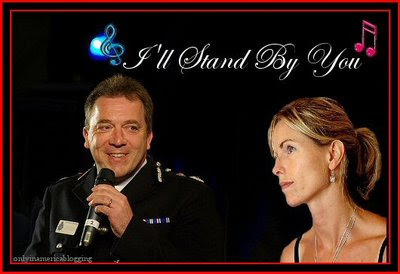 Will Kate McCann tell us why on earth she would think that anyone would believe the ever changing stories of the events of that night, why when they are in black and white in the police files, available online, on televised interview also that she would think that her story could be taken seriously. 101. Will Kate McCann tell us why during the daytime, she and husband Gerry diligently locked their apartment when the family went out for the day, to protect their belongings from any would-be intruder...yet in the evenings the very same belongings, along with the most precious people in their lives, their three wee children were then abandoned in an unlocked apartment? Did they consider Portugal to be a safer place by night than by day? 102. 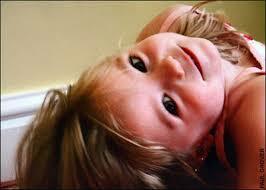 Will Kate McCann tell us why they did not take advantage of the night time babysitting service available to them? 103. 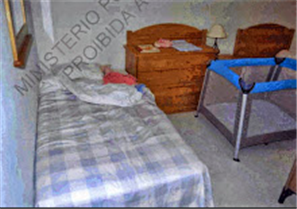 Will Kate McCann tell us why they said they were mimicking a baby listening service, one which was NOT available at this complex as it was not considered to be a safe option, and of this they knew before travelling to Portugal?